Did you know we could DO THAT? I’m supposed to look in THERE? Most of us don’t make a habit of looking at our pet’s teeth on a regular basis. This is unfortunate, since our pet’s mouths can be a true source of discomfort and disease when not cared for properly. Even my own dog’s mouth can get worse than I imagine it is. I cleaned my dog’s teeth yesterday. They were… you guessed it… worse than I imagined. I knew my dog had bad breath and some tartar build up, but it wasn’t until I cleaned his teeth that I realized how dirty they really were. My technician and I spent a great deal of time scaling, scraping, and polishing until we finally cleared away the harmful tartar that had built up and addressed the gingivitis that would lead to horrible abscessed roots if left for much longer. I’m pleased to report that we were able to avoid extractions this time, but in the future I’ll be quicker to address the problem! I encourage everyone to check their pet’s mouth frequently and report to their veterinarian if they notice red gums or tartar building up. Early intervention will save your pet pain and discomfort in the future. Nothing justifies your decision to perform a procedure like the hapiness evident in your pet after it has been completed. It’s tough to know how much a recommended procedure will help your pet until after you have gone ahead and done it! That’s hard medicine to swallow, I realize. Nonetheless I see this phenomenon time and again. Case in point: I recently removed retained deciduous teeth (baby teeth) from a dog and now he is acting great, is less moody, and seems like a different dog according to the owner. That’s music to my ears! Being able to do treatments and care for our pets at home is a wonderful way to save money! It also really gives us the feeling that we are making a difference in our pet’s life. Whenever possible, I do encourage my clients to take on treatments that they can do at home. One example is with fluid therapy. We often give fluids to our pets repeatedly when they are in renal (kidney) failure. We can teach owners to perform this task in a matter of minutes and then the pet’s care can come more under the control of you, the owner. Ask me more about home care for your pet the next time you are in. Yesterday we were able to help one of our clients out. He had to go to work, but also wanted to be present for his cat’s appointment and to consult with me. Here is what we did: he dropped his cat off in the morning on his way to work and we scheduled an appointment for him over his lunch hour. His cat stayed with us in our recovery ward while he worked in the morning and he came over at lunch for his appointment. We did the appointment as usual in the examination room and when it was finished, we put the cat back in our ward and he went back to work! After work he picked up the kitty and went home. The cat enjoyed seeing the hospital activity from a safe location and got special attention from our staff during breaks. It was the best kind of visit for everyone involved, even the kitty! Winter is the time we truly notice how frequently our dogs go outside each day. They remind us of this fact every time they come back into the house, along with the mud or snow they just tracked in! Here are a couple of tips on how to cope with these problems. 1. Lukewarm water washing – this works great for mud as well as ice. Leave a small shallow bucket of water in your mud room, just inside your back door, or in your garage. When your pup returns with ice balls between his toes or muddy feet, dunk each foot into the bucket then dry with an old towel. If your dog objects to this at first, repetition and persistence will win out. Be sure to have you dog on leash or have a helper when “dunking” at first to minimize mess. 2. Dry towel wiping – this is simply an easier version of the first suggestion – use an old bath towel to wipe your dog’s feet when he returns with snow on his feet or wet feet. Practice makes perfect – keep training foot handling and the house will stay clean! I used to have a dog that would chew his own nails so that we wouldn’t have to cut them! He hated having his nails cut! Sometimes, though, we had to help him keep up with the job. We can all benefit from knowing how to properly cut our pet’s nails. We have added a video to our website that shows how to trim a dog’s nails and it can also be found on YouTube. YouTube video A cat’s nail trimming is essentially the same. It is actually easier, if you can get your kitty to hold still and cooperate! But that’s another story. Keep in mind that as you get near the “quick” (the blood vessel) the nerve sensitivity increases and there is a pinching sensation that some pets anticipate will be worse than it actually is. Be sure to go slow and try not to cut the nails back too far. This will help your pet build trust in your ability and minimize fear of the procedure. A few days ago I attended a symposium where the topics of obesity and probiotics were discussed. It was an informative set of lectures. Let me give you a few facts relating to these subjects. Obesity in dogs is a primary precursor to torn ligaments in the knees of dogs. The surgery to correct the torn ligament can be done a few ways, but arthritis will absolutely be a factor for the affected pet. One of the primary modalities to address knee problems is weight loss. Fat releases pro-inflammatory hormones. The digestive tract is an important player in the body’s immune defense system. Probiotics are live cultures of bacteria that promote proper digestive function. Probiotics typically resolve diarrhea through regulation of the population of bacteria in the gut. My dog seems fine but has diarrhea – what do I do? Help! The groomer nicked my pet! What age should I adopt? Convenient drop-off for dogs and cats to help your busy schedule. Appointments are scheduled so your pet receives immediate care. Longer appointment time to allow for comprehensive care. Ensuring your pet's visit is as stress-free as possible. Maximum and natural light throughout the facility. Our helpful staff take the time needed to make your pet feel safe. Dr. Hellard and her staff always provide excellent care to my dogs. Great response with respect to appointment. Staff very friendly, genuine and kind. Very satisfied. Thank you! In on time and out in a hurry. Very personable & awesome with my kitty. We love WCVC!! They’ve always provided excellent care for our dog and staff is fantastic. 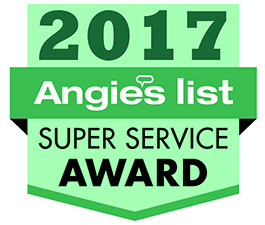 Click the image and please leave us a review on Angie's List! At WCVC We Love your Pets! Click to find us on Google Maps. © 2018 Copyright West Chester Veterinary Care LLC. All rights reserved.